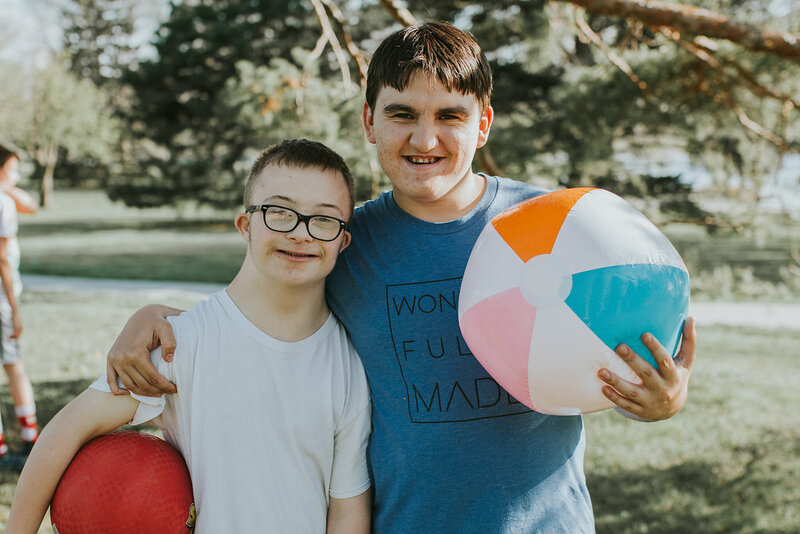 Your gifts, both large and small, will help us to achieve our mission of providing opportunities for kids with special needs in our community. 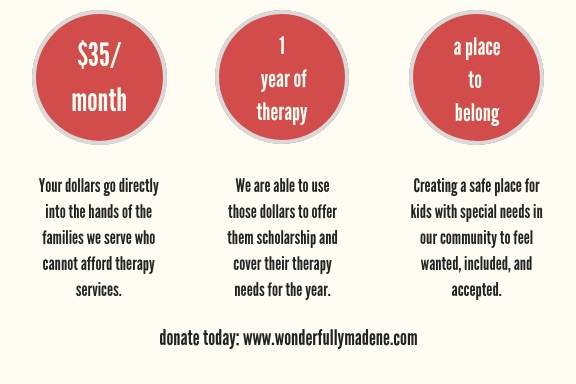 Your generosity funds Recreational Therapy programs which offer guidance on social skill struggles, inter-personal communication skills, emotional flexibility, friendship building, self-esteem and more for the kids involved in Wonderfully Made. We have a goal of completely funding our overhead budget for 2019 by asking 75 people to commit to $35/month! Just select $35 below and check the box at the bottom of the form to have it automatically charged each month. Thank you in advance for your generous support that allows us to make a difference in the lives of kids in our community each year.